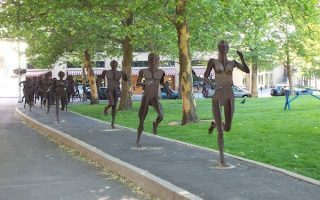 Running in Spokane, Washington. 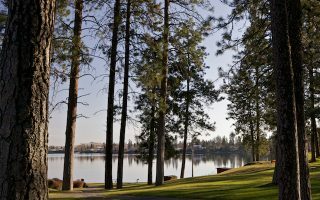 Best routes and places to run in Spokane. 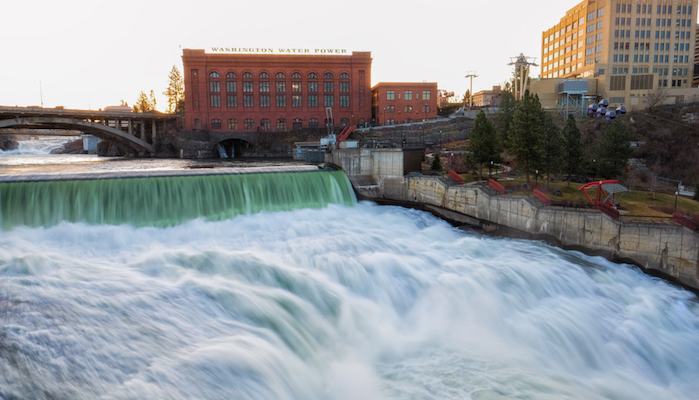 The eastern Washington city of Spokane is located along the eponymous river just 18 miles from the Idaho border. Though sometimes called “The Lilac City,” Spokane was named for its First People. The area would later become the first European settlement in Washington, and an important northwestern hub for mining, timber, and agriculture. Spokane has a thriving arts and theater scene, and is a haven for outdoor activities. There are great options for running in Spokane, ranging from riverfront trails to pleasant parks, residential neighborhoods, and some great trail running spots. The Centennial Trail, which includes sections through Riverside State Park and Riverfront Park, is the obvious frontrunner, but there is also lovely park running at Manito Park. Other multi-use paths include those at the Dwight Merkel Sports Complex and the Fish Lake Trail. Great neighborhood running can be found in Liberty Lake and High Drive Bluff. The top trail running spots are Beacon Hill/Camp Sekani, the Dishman Hills/Iller Creek, and Mount Spokane State Park. Spokane is a small city, so getting around is fairly simple. The Spokane Transit Authority offers a variety of routes, including to Spokane Valley and Liberty Lake. There’s also a steadily improving number of cycle lanes and multi-use paths make. Once out of town, a car can be helpful. 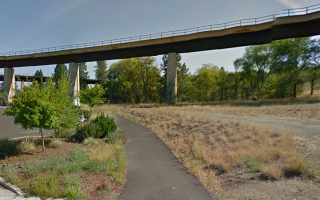 This 65-mile paved trail is the cream of running in Spokane. We've included a full map. Highlights include the bustling World’s Fair grounds of downtown’s Riverfront Park, and beautiful Riverside State Park nine miles northwest of the city. 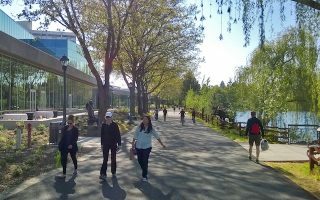 In addition to Riverfront Park and Riverside State Park, other highlights along the Spokane section of the Centennial Trail are the Kendall Yards section and Mirabeau Point Park. 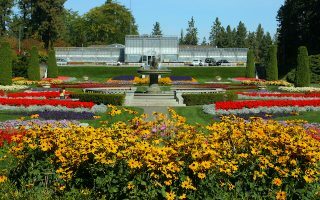 Not only does Manito Park feature a gorgeous expanse of botanical gardens, the area features some of the nicest neighborhood streets in Spokane. We’ve mapped a 2.7 mile tour. This lovely neighborhood perched atop a high hill offers great views from its long paved sidewalk and many miles of singletrack trails. The Dwight Merkel Sports Complex features a variety of athletic fields, and two great running paths: the 5K Perimeter Trail and Connector Trail to Riverside State Park. The Beacon Hill and Camp Sekani trails are popular singletrack for mountain biking, but runners will also enjoy the rolling terrain and nice scenery close to the city. A lovely, close to town conservation area, the Iller Creek Trail is a nice 5 mile trail loop with great views from the Rocks of Sharon. A scenic paved multi-use path between West Spokane and Fish Lake, where it connects with the Columbia Plateau Trail. Up to 10 miles one-way. 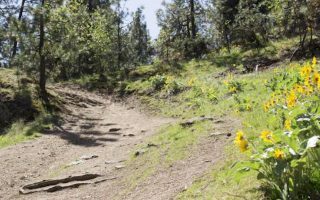 Trail runners with some extra time may find it worthwhile to travel an hour northeast to Mount Spokane State Park. 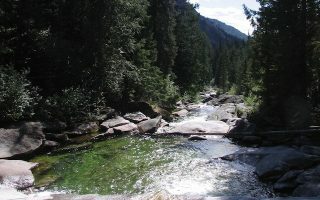 Some favorite running suitable trails include the Burping Brook and Hay Ridge Loops. Options for easier or challenging. The Liberty Lake neighborhood just east of Spokane is a great area for running. Enjoy the pleasant residential neighborhood, or a more challenging 8.5 mile trail run through Liberty Lake Regional Park. Spokane has a four season climate. 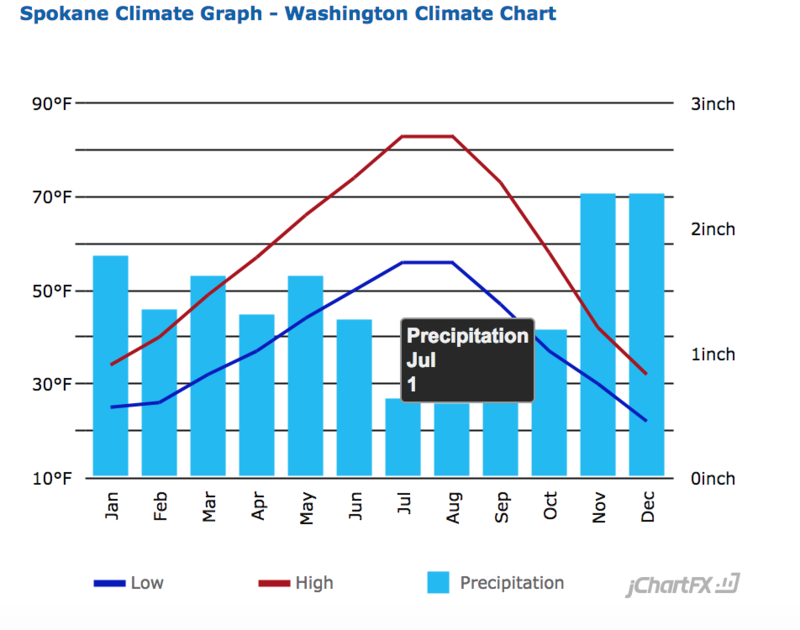 Summers are warm but not hot, and fairly dry. Average highs are in the low to mid 80s (27-28C), with cool-ish nights. Winters are cool, with high temperatures averaging in the mid-30s (3C), and lows dipping to the mid-20s (-5C). There can be snow and ice in winter — Spokane averages about 50 inches of snow annually. See VisitSpokane.com for places to stay in Spokane. 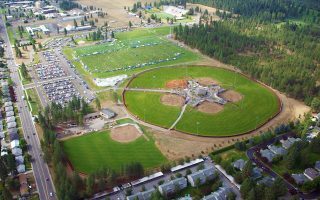 There’s a good choice of hotels in and near downtown, which provide easy access to the Centennial Trail and Manito Park. There’s also a cluster of hotels along Highway 90. There are FleetFeet locations in Spokane and Spokane Valley. Both host group runs and training clubs. Runners Soul also has two locations, downtown and in North Spokane. For a list of upcoming events in Spokane, including the Spokane River Run and the Lilac Bloomsday Run, see FleetFeet’s list of upcoming races.